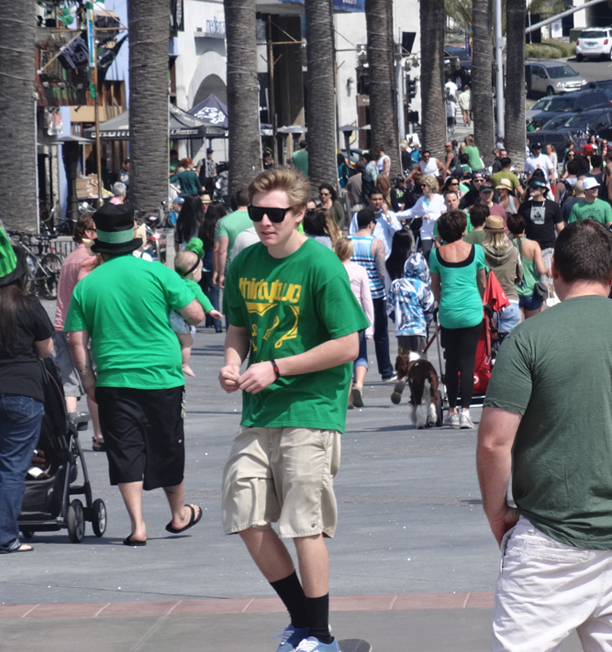 The coastal fogathon ended in time for St. Patrick’s Day and the crowds hit the beach in festive green. By 2 p.m. the lines at Hermosa’s bars were growing. 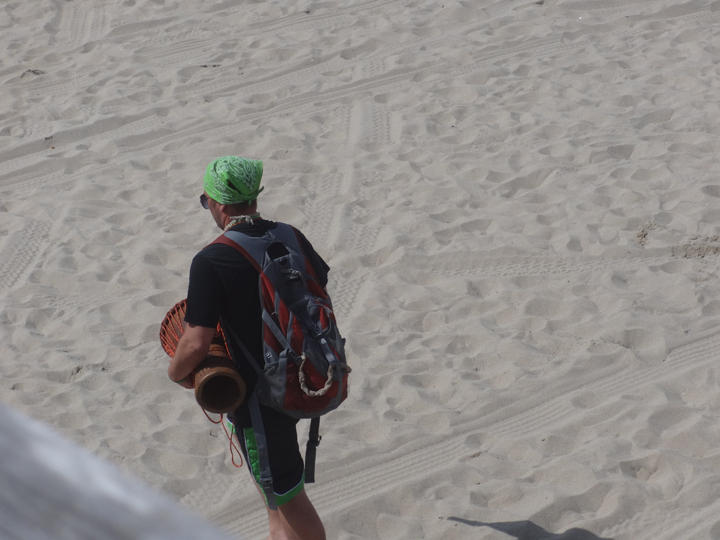 The drum circle also showed off its Celtic flair, as evidenced by this departing member. 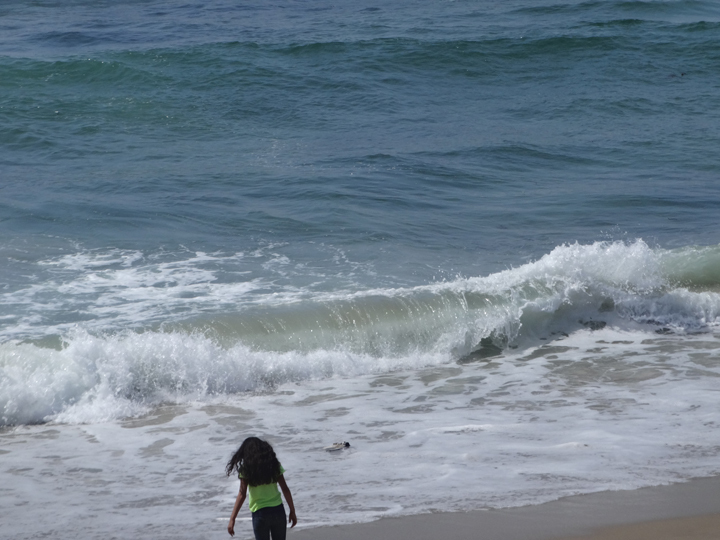 And the ocean looked glorious.